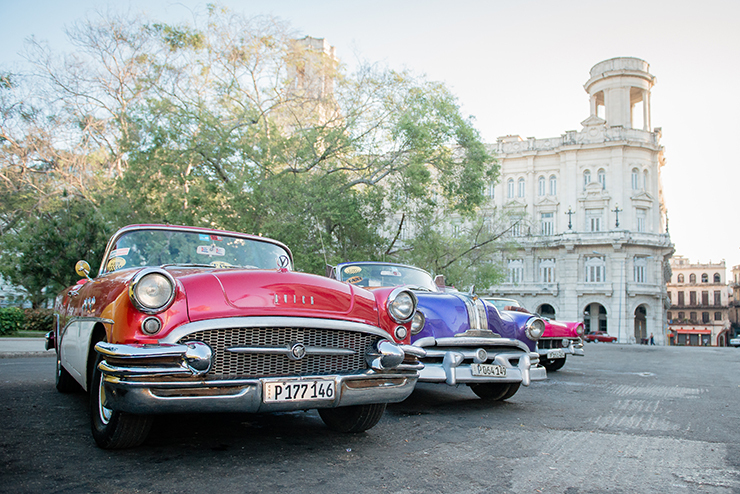 In Havana Vieja you step into the past and immediately experience what makes Cuba so unique. On foot, wandering through the narrow streets, is the best way to taste the authentic atmosphere of Havana’s finest neighborhood. Colorful vintage cars contrast against the timeworn historical facades. From different corners of the city, the colossal dome of El Capitolio clearly demands its place in the cityscape. Find your way between the cozy squares – Plaza Vieja, Plaza de San Francisco, Plaza de la Catedral, Plaza de Armas – and count the portraits of Che Guevara in all their colors and shapes. Finish your day in a cozy bar with a delicious cocktail and inviting Cuban music in the background. Welcome to Cuba! 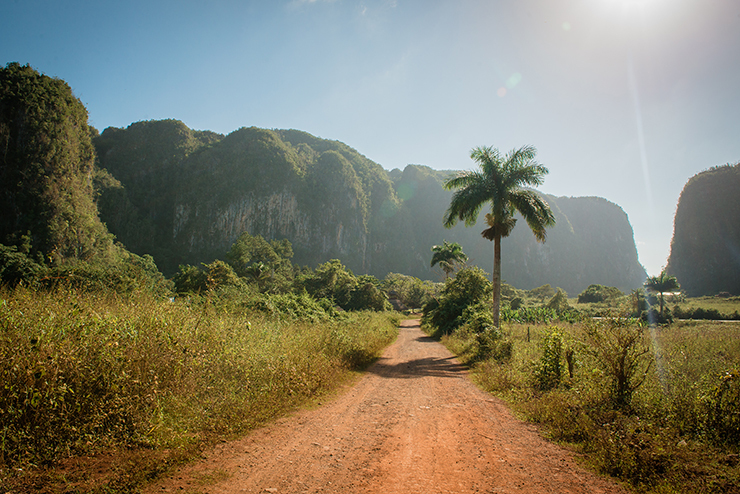 Out of nowhere the wonderful rock humps shoot out of the ground between the vaunted tobacco fields of Viñales Valley. The steep limestone formations or mogotes create an extraordinary natural landscape and turn Viñales into a unique world destination. Nevertheless, you can still enjoy the most beautiful place in Cuba in absolute tranquility. The ideal way to explore this area is by bicycle. In that way you avoid the tourist routes, which are often visited on horseback, and you seem to have the whole valley to yourself. Start your tour with a magnificent view over the valley from Hotel Los Jazmines. After that, explore the valley itself and discover its exciting beauty through the winding paths of red earth between the innumerable shades of green. With a trip to Valle de Viñales you treat yourself with one outrageous view after another. Our favorite? The view of the path, near Mural de la Prehistoria, which slyly disappears between two gigantic mogotes. Indescribable! You may finish your tour in Hotel La Ermita with a refreshing mojito and panoramic view of the sun setting behind the impressive mogotes. The rickety horse-drawn carriages creak on the sloping cobblestone streets. Playing children proudly spin their spinning top along the colorful facades. Meanwhile uplifting music sounds through the open windows. The traditional clay tiles on the ancient roofs complete the picture. This is Trinidad. A genuine colonial beauty. Moreover, the city is so small and cozy that everything is reachable on foot! Wander through a maze of alleys, past the colorful houses of former sugar barons and pirates, looking for the most beautiful views over the city. One that you definitely shouldn’t miss? Palacio Cantero! The robust tower of the mansion treats you with a scenic view of the city. The yellow bell tower of the San Francisco church rises above the weathered tiled roofs as a triumphant city symbol. In the evening you can enjoy a traditional Canchanchara – Trinidad’s pride and simply a delicious cocktail – with a live performance on the picturesque Plaza Major. 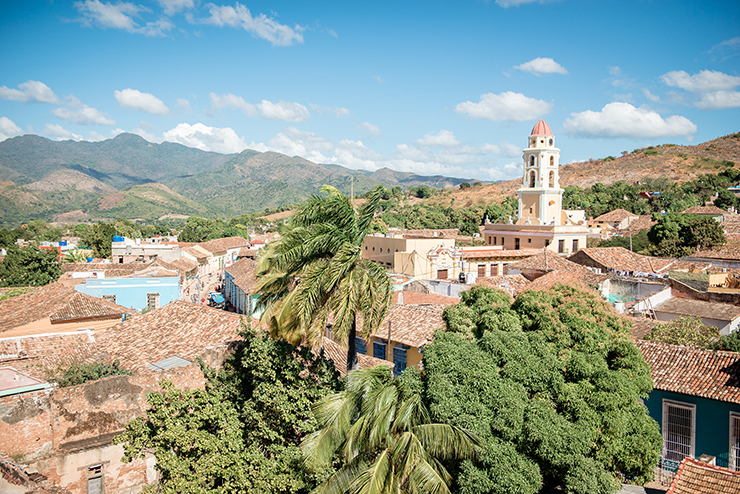 This is without doubt the most beautiful colonial town in Cuba and perhaps the world. Trinidad is totally our thing! 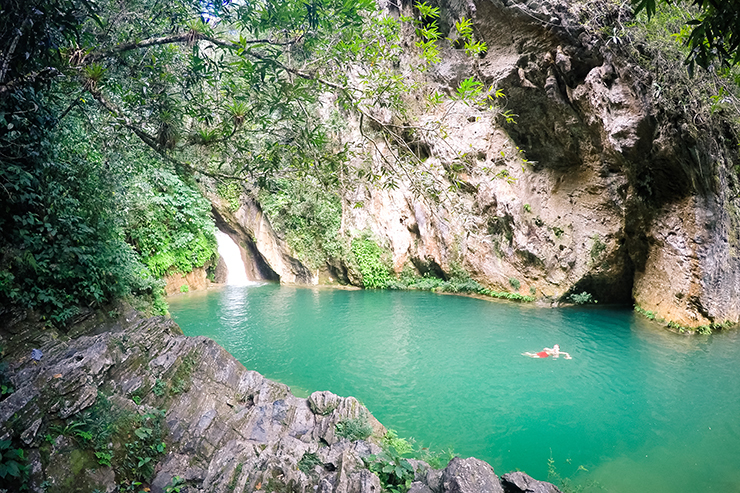 About half an hour drive from Trinidad, you’ll find the tropical Topes de Collantes. That Cuba has a lot of culture and beaches to offer, everyone knows. However, this beautiful rugged nature surprises many tourists and completes the perfect combo culture-beach-nature. Choose between various hiking trails, like the one to Salto de Caburní. This is definitely a must: a descent of about 1 hour through the amazing nature takes you to a mysterious waterfall. Once germinated among the red cliffs, the stream impatiently meanders its way between the rocks to splash down a little further in the true highlight of the tour: a fabulous natural pool. Climb your way on the countless rocks and swim in the idyllic waters. Do not hesitate, just do it! You would forget here that the way back is still waiting. This time, unfortunately, going up, so expect a 15 to 30 minutes extra. Looking for accommodation in Cuba? Forget hotels! 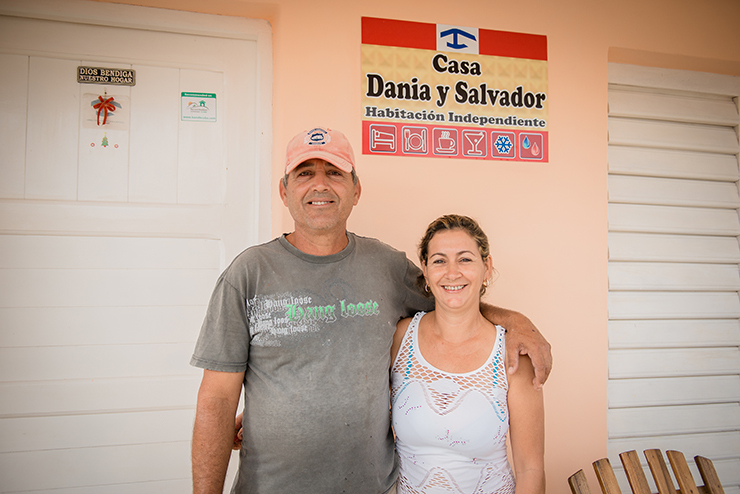 Cuba has a great alternative: casas particulares. These are B&B-like homes where you are staying with local people. No, you don’t immediately have to think of shared bathrooms and lack of privacy. The houses in Cuba are all built to it so you get your own room, often with separate entrance, and private bathroom. The hosts will do everything to make you feel at home and respect your privacy. They will leave you alone if you do not need a conversation. Nevertheless, we recommend that you’re open to them. The experience of your trip through Cuba will be much more colorful! You learn more about the people and their country and before you know, you will get a free private tour through the village. Expect to pay about $25 – $35 per room per night. Great deal for a spotless room and excellent service. Don’t forget that you can also count on your casa for the best breakfast and dinner in town. Guaranteed a celebratory meal for a reasonable price! Count on $5 for breakfast and $10 for dinner ($15 for lobster). Rest assured, with the generous portions you’re good for a while! Curious about the casas particulares we recommend? Read more here! 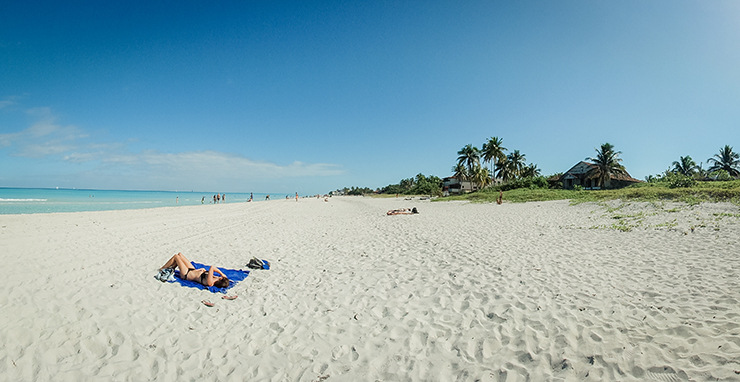 Don’t skip the white sand beaches of Varadero! We visited Playa Ancón and even Cayo Jutías, assuming to avoid the largest beach crowds there and enjoy the real bounty beach feeling. Unfortunately, both places are already fully discovered and lure large groups of tourists today. By contrast, Varadero surprised us! We expected stuffed beaches with all-inclusive tourists and deafening beats of the countless beach bars. No, quite the contrary. In fact, we found the quietest spot on the beach of our whole trip through Cuba there. Perhaps the vastness of the beach the reason. With 13 mile of powder white sand, you’ll certainly find a piece for yourself. Find your spot? Please take a dip in the crystal clear waters of the Caribbean Sea! How did you like Cuba? We like to know you highlights! Mooie foto’s. Lijkt me een leuke bestemming. Het probleem is dat er te weinig tijd is en er zijn gewoon te veel te bezoeken bestemmingen. Prachtige foto’s! Ik wil ook een Valle de Viñales in mijn achtertuin! En de Caburni lijkt wel het paradijs… Dankjewel voor alle tips op Cuba. Trinidad staat sowieso op ons lijstje. Hopelijk te doen vanuit Varadero als daguitstap! Die foto’s zijn prachtig. Ziet er een leuke vakantiebestemming uit! Inderdaad, een leuke bestemming met een unieke sfeer. Wij hebben er alvast van genoten!